Durham's best local roofing contractor. Fantastic reputation throughout the region. Trusted local roofing service. 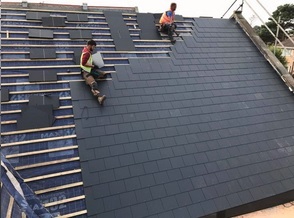 Our team has many years experience specialising in a wide range of roofing services, fitting all kinds of roofs (including new flat roofs and EPDM rubber roofs). We pride ourselves in delivering the very best quality at all times, from the initial consultation, to the installation and aftercare. Our quality and expertise cannot be matched in Durham, so call use today.